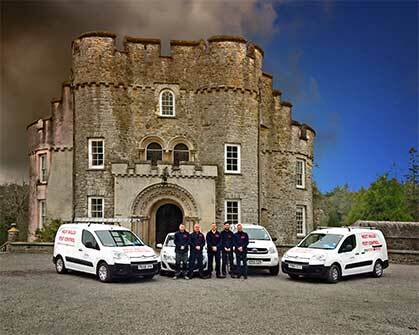 For over 20 years, we have been helping and protecting homes and businesses across West Wales from pests of all kinds. For commercial customers, we believe that prevention is the key to effective pest control. Our comprehensive service starts with a free, no obligation on-site survey. From this, we will recommend a series of methods and techniques we can use to keep your building and land free from pests. We recognise that all pest control assignments for our commercial customers’ needs to be completed with minimum fuss and disruption. We have worked with local farmers and other agricultural customers, as well as housing associations and local councils, retailers, food service suppliers, oil refineries and many corporate organisations. We are health and safety compliant through SAFE CONTRACTOR approved accreditation. For domestic customers, we offer an immediate, effective response to quickly remove any kind of pest infestation. In most cases, it takes only one visit by our technicians to leave your home – inside and out – free from pests. We also advise on measures that can be taken to prevent infestations in the future. We offer a comprehensive service to rid people of all kinds of pests; rats, mice, birds (as well as bird proofing), cockroaches, fleas, bedbugs, wasp nest removal, bees… the list could go on! And, with great prices and packages, you are sure to find the solution with us! Thanks very much for getting rid of my wasps. Excellent prompt service and so much cheaper than some I could mention! Cheers Richard. After 3 visits the boys from West Wales Pest Control cleared my rats which have been plaguing me for 6 months. Great job done, wasps are gone with no trace. Thanks for excellent job, very polite technician, good job. Thank you for your excellent service, James was efficient, polite and encouraging and we were grateful for the confidence he instilled in us that our rats would definitely be gone. We have taken his advice regarding entry points and have engaged a builder to carry out the work. We thank you for your services and must say what a pleasant young man you have in James. We had a huge rodent problem at The Mill, which the previous pest controllers failed to deal with. 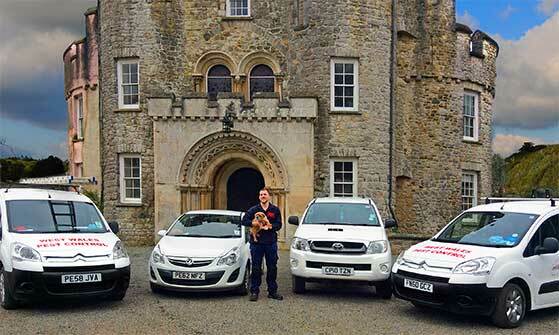 West Wales Pest Control took on the rodent eradication program and there has not been a sign of a rat after one month. Fantastic job boys!!! I would recommend you to anyone. 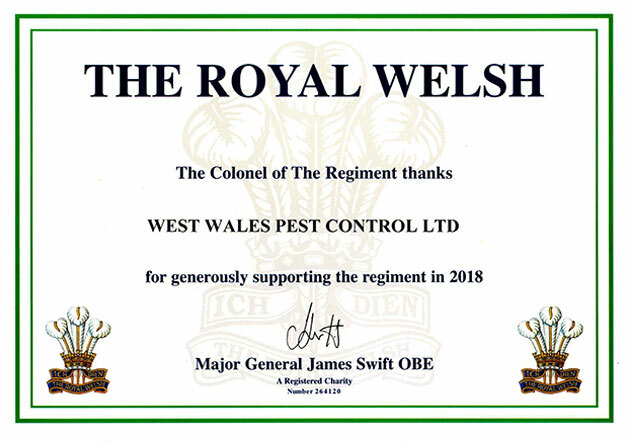 I am providing a full professional recommendation for Richard & Simon at West Wales Pest Control for any and all pest control services. Richard has been very efficient, highly knowledgeable and a professional company to use at all times. 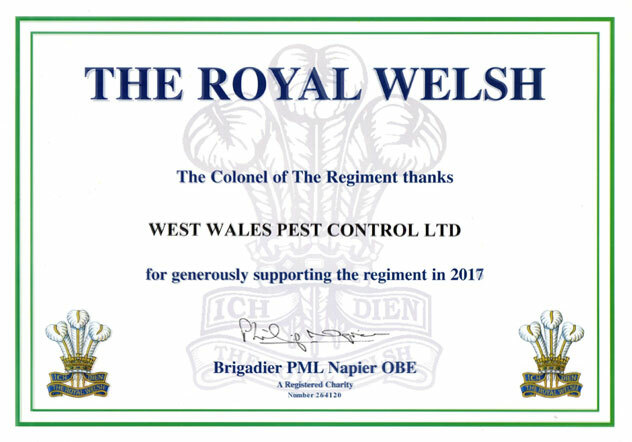 We will continue to use West Wales Pest Control and recommend all local businesses and domestic people call Richard first! Moles were a big problem on the farm and had tried various methods with little success to control them. I called Richard and within a few weeks the problem was solved. I know have a yearly contract with them. We had a problem with rats in the garden due to the cold weather, the rats were feeding of the bird table for food. We telephoned Richard who has now solved the problem. I lost a lot of lambs last year to the fox’s and could not contain the problem, I was recommended Richard who surveyed my land. Richard visited on four occasions. And this year lambing was a great success with no losses. I now have an annual contract. Was recommended Richard as I had a problem with moles in my fields. Was advised by Richard that this would take 2 visits to clear them with the trapping method. And 2 visits it took! Have recommended him to others. Richard came to my home I had squirrels plagueing my bird table, he set a couple of cages and caught all the offenders in two days. Many thanks. Found wasp nest on site and called Richard to eradicate, prompt service, polite and professional. My kitchen was plagued with ants and telephoned Richard, after one treatment problem was solved, have had no ants since. Found 2 wasps nest under eaves of house, telephoned Richard who came out and removed the problem, was polite and professional. Found to have fleas in the house, called Richard who came out and successfully eradicated the problem for me, have no hesitation to recommend him to others. The farm had a massive problem with rats and was over run with them. Tried poisoning the rats ourselves and it was not working. We called Richard and within 2 weeks they cleared the rats and we havnt seen one since. I have had pest control with Richard in my old and new restaurant. Their service is second to none. They are polite, punctual and very thorough. Richard offer an excellent service. They look after the whole of the college and are very polite and punctual. Richard cleared my caravan park of moles, not a mole in sight we are delighted. I had mice in my attic and called Richard. They were prompt and professional and solved the problem straight away. Thanks for dealing with the bee swarm so quickly and efficiently. The local beekeeper arrived shortly after and took away the other swarm that was in the tree. So panic over. The guests from Holland were impressed with the speed it was all dealt with. Thank you Richard for sorting out the problem of the Squirrel trapped in the stud wall. We have now taken out an annual pest control contract with Richard. Thank you Richard for the speedy visit to eradicate my bee problem. We were worried at the amount of bees but was reassured the problem would be solved. Pleasant staff. Thank you. Richard is customer focused and very flexible in adapting their delivery to our demanding requirements. They are clearly tuned into happy customers and they work hard on relationship management. Always there when we need them. 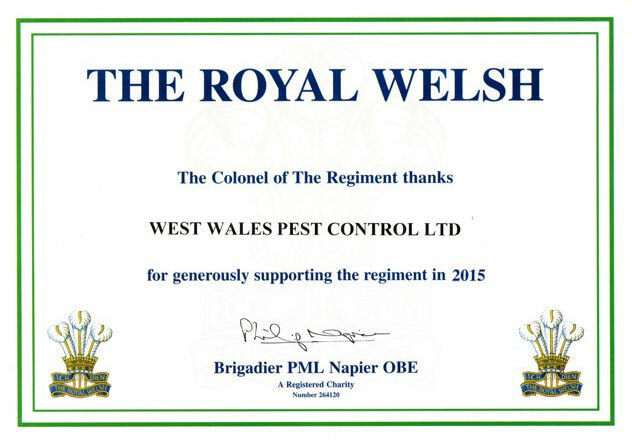 © 2015 West Wales Pest Control. Site developed by Southwest Marketing. SERVING: Haverfordwest, Tenby, Pembroke, Milford Haven, Fishguard, Saundersfoot, Narbeth, Neyland, Newport, St David’s, Llanelli, Carmarthen, Ammanford, Burry Port, Kidwelly, Llandeilo, Newcastle Emlyn, Llandovery, St Clears, Whitland, Pendine, Aberystwyth, Aberaeron, Aberporth, Borth, Cardigan, Lampeter, Llanddewi Brefi, Llandysul, Llanon, New Quay, Tregaron and all surrounding villages and towns.